Perhaps the biggest headline that featured on our website last year was the departure of our long-serving principal, Mrs. Lim Lai Cheng. Yet even as we look back on the sweeping changes of the past 5 years, we also welcome the arrival of Mr. Chan Poh Meng – an ex-principal of Victoria Junior College who has taken over the task of helming our school. 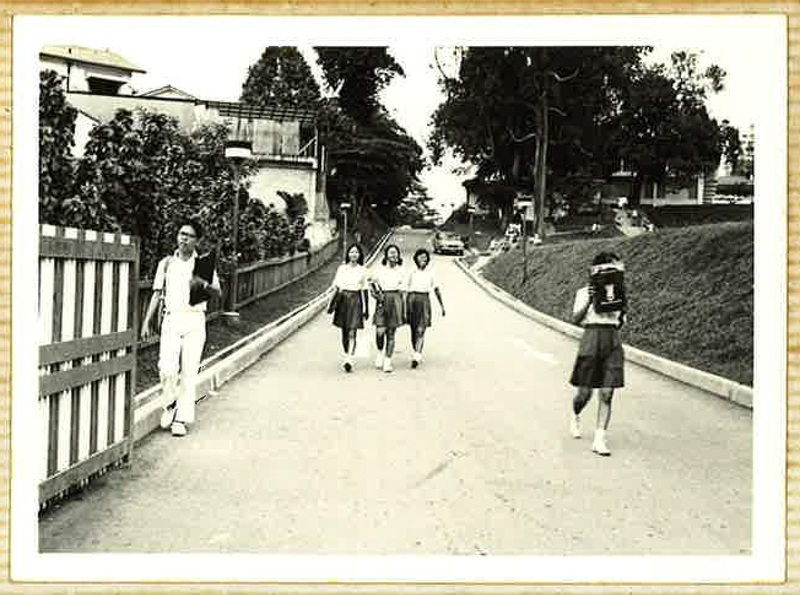 Mr. Chan is by no means a stranger to our school, having graduated from this very institution in 1975. Since then, he has worked his way to becoming a talented educator whose credentials speak for themselves. Being an old boy, it almost seems as if we should know him pretty well, but we don’t. His personality, character, and future ambitions for the school all remain a mystery to us, save for the odd rumours floating in from our friends in VJC. As journalists, natural curiosity drove us to find out more about the man with a plan for RI. This is the result: a candid interview where we discuss his personality, opinions and future plans for the school. What sort of principal would you describe yourself as? 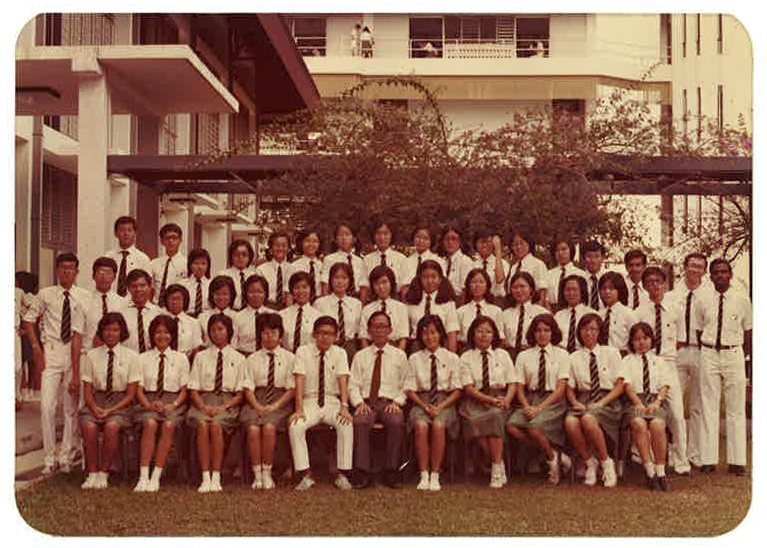 RI will be the third school I’m leading — Outram Secondary School was my first, and the second was VJC. I would describe myself with the abbreviation ‘ABC’: approachable, bubbly and communicative! I’m a very people-oriented principal—to me people matter the most, because passionate individuals driven by the right purpose can do a lot for the world. Of course, sometimes I do realise that when I am too people-centric, I may sometimes give the impression that anything goes and that rules are not important. But that’s very not true—I’m also quite rule-centred, because rules which are established by a community provide the structure for people to understand each other better and establish a working culture. How does it feel to take on the task of helming the school for the next few years? ‘Challenging’ would actually be the first thing that comes to mind. I feel that I shouldn’t take for granted the progress we’ve made. As a returning alumnus, I don’t want to fall into the trap of imposing what RI was like in the past onto the present. Yet I’m also sure that the alumni expect me, as a Rafflesian, to retain the true spirit of the school. That’s why it is challenging—not the long hours at work or the size of the school, but trying to capture the true Rafflesian spirit. Leading the school is a two-way process—as much as I can provide input, I need the help of students, their parents, staff and old boys and girls to work together in creating a new future for the school. From the perspective of an old boy, how has RI changed since you left? What was your experience of school life and school culture, and would you like to ‘recreate’ this experience? I graduated in 1975, but I did come back to RI from 1976 to about 1980 as a boy scout. 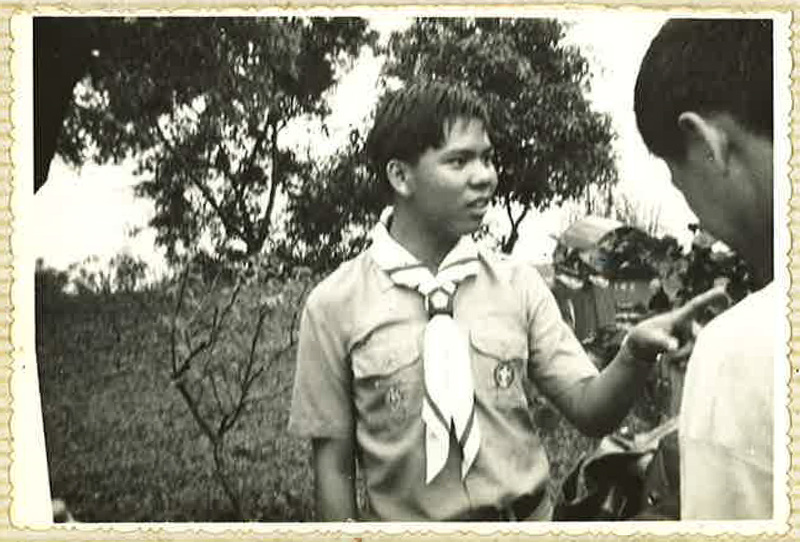 I even went to Thailand with the scouts as an alumnus. I also did one term of cadet teaching in 1982 for six months. So that was the RI that I last knew. After that I came back to RI only for meetings, but I did not get involved in the school anymore, as I was so busy in my own career as a teacher and everything else. So, in my impression of RI, I am almost like an outsider. What I enjoyed most as a RI boy was a six-year school where I was given a chance to grow up with peers who were a few years my senior, and as I grew up and became a senior myself, I was able to be a senior to some of my juniors in return. I was a troop leader for the boy scouts in Pre-U 1, and I thoroughly feel that that was a very important experience for me, because I was a peer leader in the most natural of contexts. Back then, we still had teachers in charge, but the ones actually running the boy scouts were the troop leaders, the Pre-U 1s, because the Pre-U 2s were busy studying for their A-Level exams. This happened in most of the CCAs, and even the girls who came in at the Pre-University level also became natural leaders. Seniors would mentor their juniors, and the juniors in return would learn from their seniors’ role-modelling, and that was very impactful. RI has become so big now—it takes me 20 minutes to walk from one end of the campus to the other. The sheer size of the school has likely changed the quality and nature of the interactions between seniors and juniors. And the almost romantic notion that I had about seniors helping juniors may have disappeared, or may just not be the same. If I am right, I want to do something about it. Broadly speaking, what direction would you like to take RI in the next five years? People outside of RI may sometimes harbour a lot of misunderstandings about our school. I experienced the consequences of such misunderstandings when I was a 13-year-old RI boy. In the last five years though, this issue has become increasingly prevalent, because of all the accolades that RI has won and also this national consciousness that we want to make sure that nobody is left behind. So, first, I want to make sure that the community around RI reads us correctly. I live around here, and I think of myself as a very ‘Bishan community’ person. I take public transport; I don’t drive, I don’t have a car. I’m telling you this because I feel quite strongly that RI’s presence is not felt in our immediate community. RI’s presence in Singapore is felt, sometimes in the wrong way. I’d like to make sure that the Bishan-Toa Payoh community knows RI more. I think we should reach out to the residents here and let them know what RI stands for. Charity begins from the home. When Rafflesians doing community service are featured in the media, that’s great, because it lets the general public know what we’re doing to give back to society. But it would be even better if we could impact our community to the extent that they stand up for us and tell the world about us—I think that would be so much more impactful. In addition, I would also like to bring RI to a place where we are more exploratory and more open about things. For example, I’m a movie buff, and I’ve been following people with non-academic pursuits—all the chefs, musicians, and movie makers—and I feel that there’s a big, wide world out there outside of your conventional, regular careers like law and medicine. Nothing wrong with being regular; we do need good doctors as well! But what I’m really saying is that I would like for us, over the next five years, to be open and explore ‘alternatives’. In the midst of concerns like CCA closure and dwindling interest in non-competitive CCAs, how will you work to support the school’s CCAs? Let me first state that I strongly believe in the value of CCAs. However, when we evaluate whether a CCA should continue or be closed down, we have to go back to the objectives—why was it set up, and did it fulfil what it set out to do? We also have to talk to the members and ask them why they want to continue, and explain to them to why certain current conditions have to be met before we can carry on with the activity. Otherwise, their official status (which may include funding, manpower and resources, and even infrastructure) may be changed into an SIG (Special Interest Group), where some of these things are less important, and you can still pursue your interests. It may even become something that’s not an SIG—where you actually make membership more open, where maybe even non-Rafflesians can take part.. I want to give a message to Rafflesians—I’m not here to close things down, but I’m here to look at the rationale, and what’s best for us. CCAs are extremely important, especially for holistic development, and I’ve believed this since I was 13 years old. However, I want to emphasise this again—I’m not here to lead my own life; I’m here to make sure that students’ lives are well cared for. I also want to ensure that at the end of the day it’s not all about closing down CCAs, but that it will be a properly-reviewed process, and I’m happy to hold dialogues with students. That’s what I can promise. It can be sometimes said that some RI students have become narrow-minded in the pursuit of excellence. What can we do to change this? It would be silly to say that one or two simple assembly talks can change this. We have to address this through non-curricular means—a broad range that could include participation in activities like science research, Mathematics competitions, Raffles Players or uniform groups, just to name a few examples. They all contain elements of competition, whether as an individual or in a group, and there inevitably will be moments where we fail. These are the best opportunities to build up our resilience, and we can be taught to better cope with failure. Another good way would be to work through the student leaders, like the CCA leaders, prefects and councillors. I’ve recently spoken to all the student leaders of the different CCAs to ask me, each, a question. I’ve already received over a hundred of questions and grouped them into various categories, and I would like to answer all these questions directly, so that I know what the students are concerned about. I believe this is another very effective avenue that I can use to help change this mindset. It is not enough to just talk about it—the teachable moment will come afterwards, in a competition, when we fail or succeed. For me to individually reach out to the thousands of students in RI would hardly be feasible—I think that student leaders would be a more effective outlet. I understand that Mrs Lim used to have meetings with the student leaders, and I think such platforms would be a good platform for me to start. Q: If not yourself, who would you be? A: I might be an actor. Q: Cat person or dog person? A: None. Q: Quote that you live your life by? A: Be happy. Q: Favourite book? A: Persuasion by Jane Austen. Q: Favourite movie? A: My most current one is Ilo Ilo – I just watched it. Q: Science or Humanities? A: Humanities. Q: Favourite memory of your student days? A: Boys Scouts. Q: Favourite food and drink? A: Chicken and Oolong Tea. Q: Natural talent you’d like to be gifted with? A: What if I think I’m gifted already? Having a very sharp or analytical mind. Q: Where would you like to live? A: Anywhere that’s cold and nice – I call myself a polar bear. Q: Your chief characteristic? A: Friendly. Q: Idea of happiness? A: Be yourself – and don’t apologise for it. Q: Idea of misery? A: Being totally misunderstood by everyone around you. For the complete, unabridged version of this article (along with the full transcript of our interview with Mr. Chan), do pick up a copy of the Rafflesian Times #2 when it is published.